The owner of a luxury goods shop in Zurich has denied that racism was involved when Oprah Winfrey was discouraged from buying a 35,000 Swiss franc ($38,100) handbag. The U.S. talk show host, recently named the world’s most powerful celebrity, was in Switzerland for the wedding of singer Tina Turner when the incident occurred last month. The broadcaster said in two U.S. interviews that a sales assistant had refused to show her the crocodile handbag, saying it was “too expensive” and steering her towards other, cheaper ones. Luxury shop Trois Pommes denied discriminating against Winfrey, an African-American, who asked to look at a “Jennifer” purse, designed by Tom Ford and named for actress Jennifer Aniston. The owner put the incident down to a language barrier. The sales assistant had wanted to show Winfrey that the bag was also available in other materials, which may have given the TV host the impression the shop did not want to sell it to her, Goetz said. “Of course that’s not the case. Who wouldn’t want to sell a purse for 35,000 francs?” Goetz said. Trois Pommes operates various luxury-brand boutiques in Switzerland, including the Tom Ford shop in Zurich where Winfrey said she was refused. 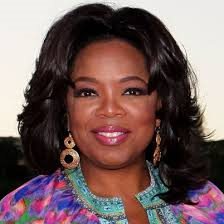 Winfrey, 59, who runs her own TV network, earned $77 million in the year to June 2013, taking the No. 1 spot on the Forbes most powerful celebrity list last month, the fifth time she has headed the annual ranking. She also appears in a forthcoming movie, “The Butler”, which examines race issues in a story about an African-American who works at the White House under several U.S. presidents. The shop incident unleashed a volley of criticism in Switzerland, where media reported this week that asylum-seekers are not allowed free movement to public sports venues like municipal pools, prompting criticism from advocacy group Human Rights Watch. Justice Minister Simonetta Sommaruga denied there were particular access barriers for asylum-seekers. The Swiss tourism association said it regretted the handbag incident and was “never happy when our guests’ feelings are hurt”. On the other, the Swiss People’s Party, the biggest in parliament, has long made opposition to immigration a key plank of its electoral appeal. It has been accused of racism for its campaigns which once featured a poster of a white sheep kicking a black one from a Swiss flag.